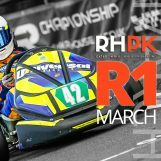 Running into the second half of the RHPK 2016 Season there are still many places on the Championship table to settle. 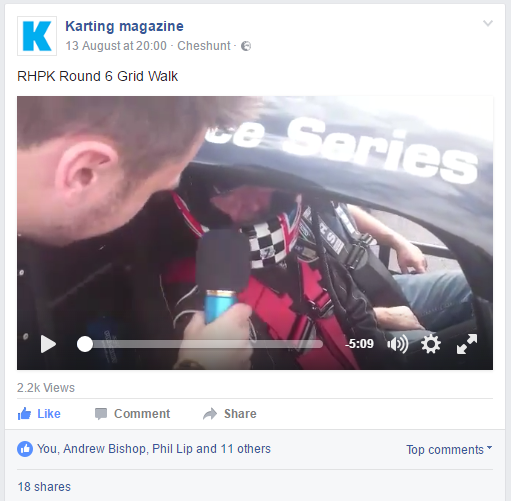 The run up to round 6, like the previous rounds was becoming very lively on our Facebook group. 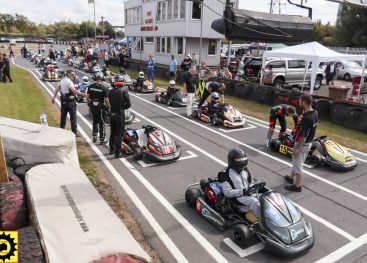 We had another epic turn out this month – 28 karts on the grid. New comers “Kiss My Haase Racing” delaying their debut race until September & blast from the past, Geforce Racing back in October. Celebrating their birthday this round was Helicopter Services, Ben Cooks Girl Friend, Charlotte! 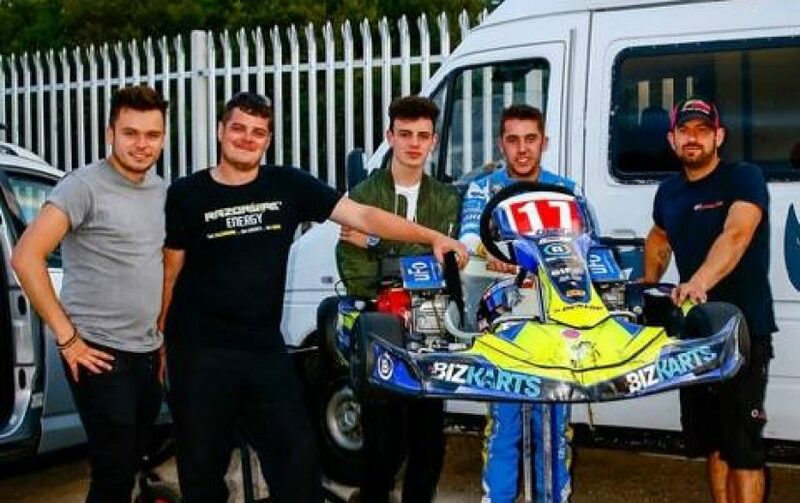 This month the Karting Magazine team, after being on the receiving end of some very bad luck brought back Joe Scorey who would hopefully get the kart and the team back on track. 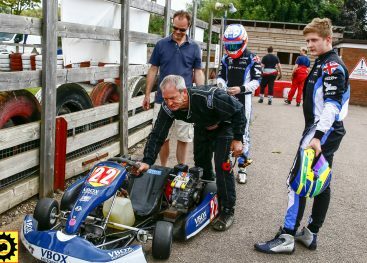 He was joined by Super One Rotax Max champion Sam Marsh and Team Captain, Lee Henderson. Continuing our very popular feature where we unleash a new car around the track every month – Jay Shepard agreed to bring down his FunCup car to demonstrate their fantastic series which was covered by the Karting Magazine a couple of months back here… The Funcup team not only brought down their 1.8 Audi powered race car – but entered a brand new team into the race! 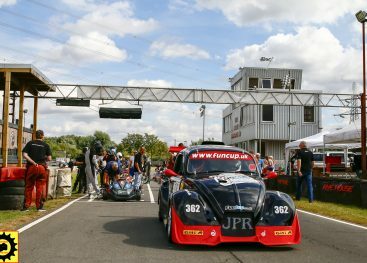 We held a competition a week before the race for someone to jump in the passenger seat of the FunCup car for a couple of demo laps, then go onto lead the karts on the warm up laps. The prize, picked at, it went to Andrew Bishop Senior, ABA Racing. 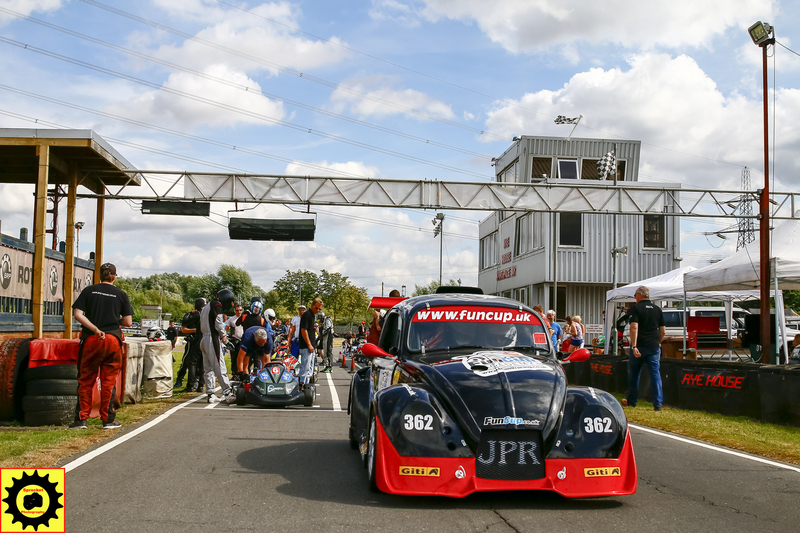 The FunCup car at the front of the grid, ready to start the race. 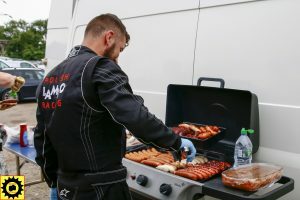 As usual Superstars Phil & Greg from Team Lambo cooking lunch for all of our teams. Once again very close all the way down the field. 1 second covered the top 18. 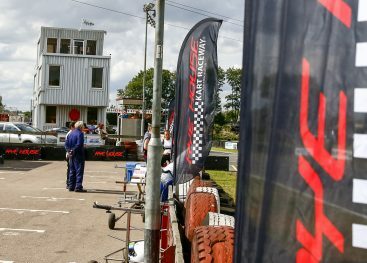 Helicopter Services takes the top spot in front of the field – not completely dominated by the mighty team this year, both ABA & Custom Rods have out qualified them in the last couple of rounds. Helicopter Services, 1st with a 41.592, Baron Racing back this round to qualify an impressive 2nd, just missing out on pole with a 41.663 and ABA Racing round up the top three with a 41.705. 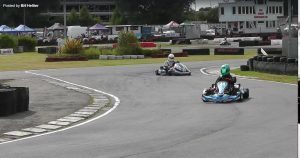 In Clubman KA Racing take their first Pole position this year with a 42.224, out qualifying both the mighty Amigos & Burton Power Racing this month. Amigos take the second spot with a very close 42.264 and Neptune Motorsport round up the top three with a 41.265. 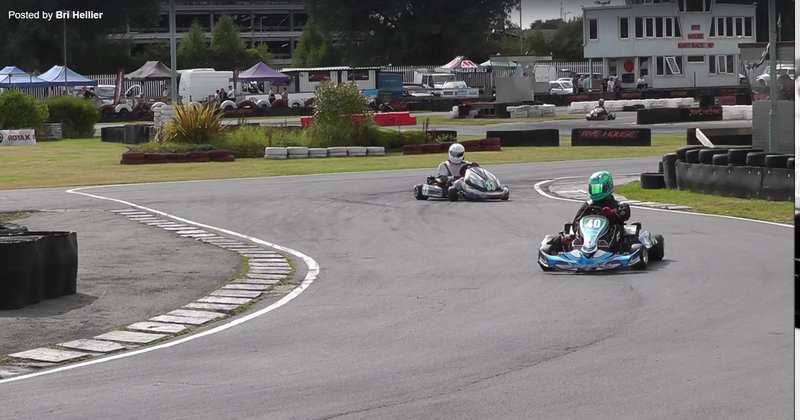 One of the closest qualifying sessions we’ve seen all year in Clubman – any of the top 5 in Clubman could of taken it. Wow! 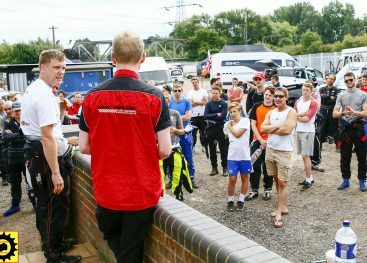 Chris McCarthy’s Grid Walk, Interviewing Jay from the FunCup, Andrew Bishop Senior (Competition Winner) & Various drivers on the grid. 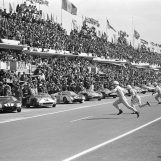 As the green flag drops Helicopter Services lead the pack into the first corner closely followed by ABA & Baron Racing. 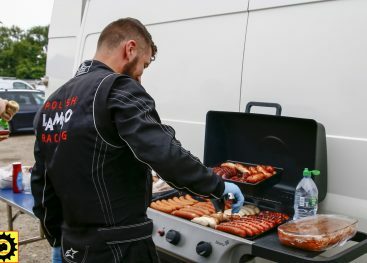 KA Racing lead Clubman teams Amigos who look on the outside and NMA Racing. 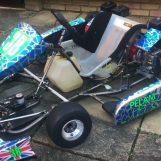 Lee Henderson starts in his first race start in Team Karting Magazine. Focus Racing make up two places in Lap 2, ITS Racing making up a further 5 places and Pelam making up three positions on the 2nd lap. 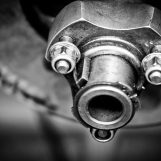 BMH become the first victim to a mechanical issue – a wheel falling off on the warm up laps meant they started in the pitlane, they later go onto retire due to a cracked chassis. On lap 3 Team Eyrie drop 7 places, KA Racing are still leading the pack of Clubmans. Lap 5 saw Custom Rods take third place away from Baron Racing – although they are unable to make any further ground throughout the race. ITS Racing make a further two places in consecutive laps into 6th place. 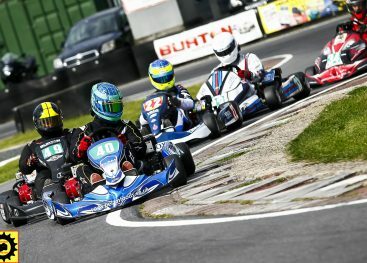 JAB Racing pushing the kart into Pylon! By Lap 25 Evolution who started dead last are in 4th place and charging hard. On lap 28 there is a change of lead in Clubman, Amigos take the lead as KA Racing drops a couple of places. NMA Racing have an issue on lap 40 where they drop 13 places. A real shame for the team as they showed so much pace during practice and qualifying. As the race comes to a close JRH Racing at in a very strong 5th place – which looks almost certain until a slight mistake means they have to pit to change a front tyre with 8 minutes to go. Helicopter Services takes another sterling win by 2 laps to a well deserved ABA Racing in 2nd and Baron Racing round up the top three in third. A very strong drive from the boys at ITS Racing 1 secures them 4th and Focus Racing take 5th on the podium. In Clubman, Amigos take the win over Evolution in second, JAB Racing round up the top three in third. Burton Power Racing and Polish Lambo take 4th and 5th on the podium. A notable mention to Team CET who just miss out on a podium spot – the guys are looking quicker each round now in their brand new chassis. Well done guys. 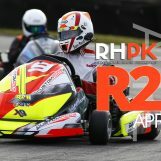 Newly promoted team, HRS Racing 2 who were so strong in morning practice suffered issues throughout the race. A real shame for the team considering their pace. 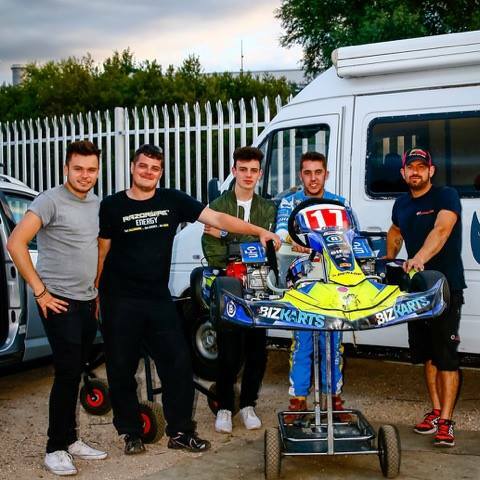 Team Karting Magazine take a very credible 7th place – a much needed strong finish for the team after their recent streak of bad luck. 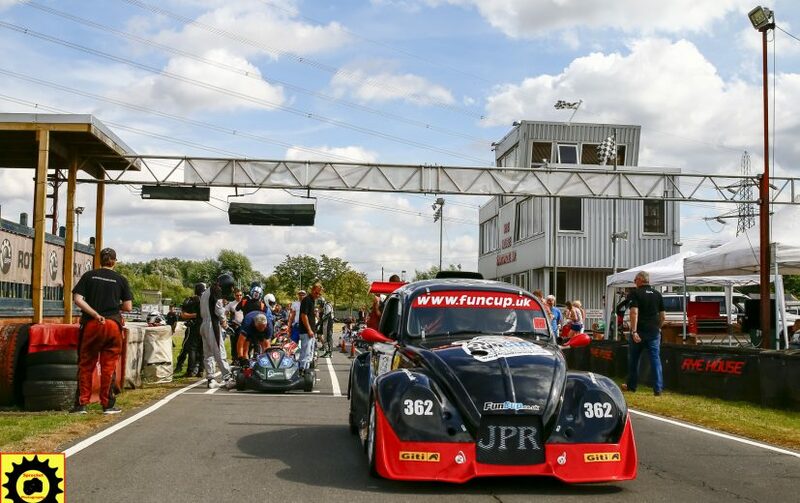 FunCup Racing, formed Jay Shepherd and brothers Edward And Christopher Bridle finish the full race distance after a very busy week which meant they had to get the kart ready in morning practice. They went onto finish in a very respectful 17th place. A real pleasure to have Jay and the team down for Round 6.